The Ravens rank first in the league in total defense (284.1 YPG) and scoring defense (17.5 PPG) entering their Week 17 matchup against the Browns. The Ravens enter Saturday's game against the Chargers ranked first in the NFL in total defense (290.2 YPG) and scoring defense (18.1 PPG). The Ravens surrendered a season-high 442 yards during Sunday's 24-21 loss to the Chiefs. Ravens safety Tony Jefferson is nursing an ankle injury ahead of Sunday's game against the Chiefs. The Ravens enter Week 13's tilt against the Falcons with the league's top-ranked total defense (295.4 YPG). The Ravens head into their Week 12 matchup against the Raiders ranked first in the NFL in yards (300.0 YPG) and points allowed (18.1 PPG). The Ravens enter their Week 11 game against the Bengals with the league's second-best total defense (305.0 YPG). The Ravens enter Week 9 as the league's top-ranked scoring defense (17.1 PPG). The Ravens boast the league's top scoring defense (14.4 PPG) entering their Week 8 matchup with the Panthers. 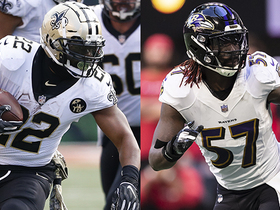 The Ravens defense has allowed 12.8 points and 270.8 yards per game, both of which are best in the NFL heading into the team's Week 7 matchup with New Orleans. The Ravens enter their Week 6 matchup with the Titans allowing 15.4 points per game. 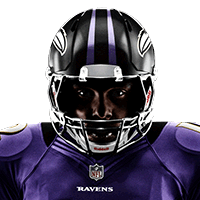 The Ravens boast the league's second-best total defense entering Week 5 (275.8 yards allowed per game). 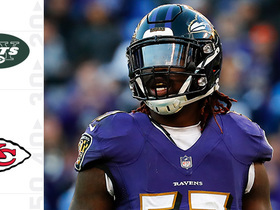 Ravens linebacker Matt Judon (hamstring) is listed as questionable for Sunday's divisional tilt with the Steelers. Ravens linebacker C.J. Mosley (knee) is listed as questionable for Sunday's game against the Broncos. The Ravens surrendered just three points during Sunday's 47-3 beatdown over the Bills. Defensive tackle Brandon Williams is nursing a back injury ahead of Sunday's game against the Bengals. 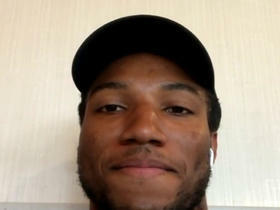 Defensive lineman Carl Davis is uncertain to be available for Saturday's game against the Colts with a shoulder injury. The Ravens rank fourth in the NFL allowing only 18.9 points per game this season. Ravens inside linebacker C.J. 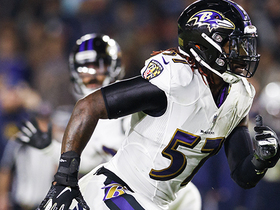 Mosley is dealing with an ankle injury ahead of Sunday's divisional tilt against the Steelers. Ravens inside linebacker C.J. Mosley is nursing an ankle injury ahead of this week's game against the Lions. Linebacker C.J. Mosley (ankle) and cornerback Jimmy Smith (Achilles) are both listed as questionable for Monday night's game against the Texans. Cornerback Jimmy Smith (Achilles) is listed as questionable for Sunday's game against the Packers. 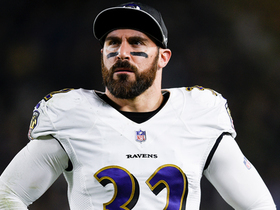 Los Angeles Rams safety Eric Weddle reacts to his team's 2019 schedule. Baltimore Ravens cornerback Marlon Humphrey joins "Up to the Minute" to talk about giving his jersey number to safety Earl Thomas, 2019 expectations and more. 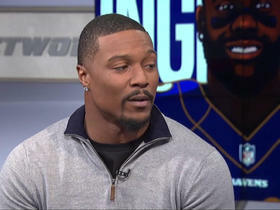 Baltimore Ravens safety Tony Jefferson joins "NFL Total Access" to talk about his team's offseason moves. NFL Network's Shaun O'Hara and Joe Thomas each give their favorite free agency fit. 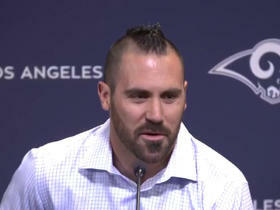 New Los Angeles Rams safety Eric Weddle talks during his introductory press conference. NFL Network's Peter Schrager explores which teams could be interested in signing free agent linebacker C.J. Mosley this offseason. 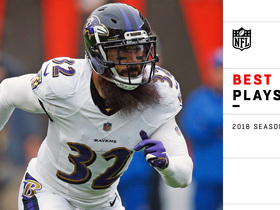 Check out the best plays from Baltimore Ravens safety Eric Weddle's 2018 season. 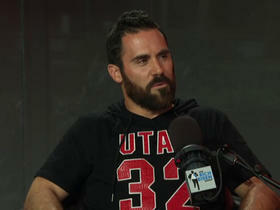 NFL Network Insider Ian Rapoport reports that the Baltimore Ravens have cut safety Eric Weddle. 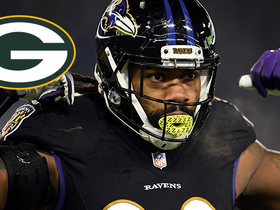 NFL Network's Mike Garafolo and NFL Network Insider Ian Rapoport explain why the Baltimore Ravens didn't franchise tag linebacker C.J. Mosley.